Has won numerous international sporting events and shoot awards. The premium Czech-made choice, famed in Europe and the world over. It's won numerous international sporting events, and won countless big game trophies. Sellier Bellot, .303 British, FMJ, 180 Grain, 20 Rounds is rated 5.0 out of 5 by 10. Rated 5 out of 5 by 6thGeorgia from Quality, Price and Accuracy I'm relatively new to long range target shooting and have little experience comparing ammo from various manufacturers. I selected S&B primarily for low price but was impressed with visual quality of the rounds and then accuracy at the range. I'm using these rounds with a British P14 Winchester -- now a 100 year-old rifle though in near mint condition. I have mounted a Leupold LR scope that per instructions should be sighted in at 200 yds. (I have a special mount that does not require drilling/tapping.) My range berm is 100 yds. With the rifle bench-rested and the scope set on the 0/0 windage/elevation marks as it came from the factory -- my first shot scored a perfect bull. I pulled that target down and had the range officer sign the target. Much luck involved here, I'm sure, but subsequent range shooting bears out the quality of S&B .303 ammo. Rated 5 out of 5 by JAMES from I purchased a Lee Enfield, N04 Mk1 from my local pawn shop, my very first rifle. Got this ammunition and went out west, some friends and we fired at targets beyond 500 yards distance; across an open plan and could hit a small tree with iron sights. for our fist time shooting one, on a new rifle and with iron sights, we couldn't ask for more. very happy! 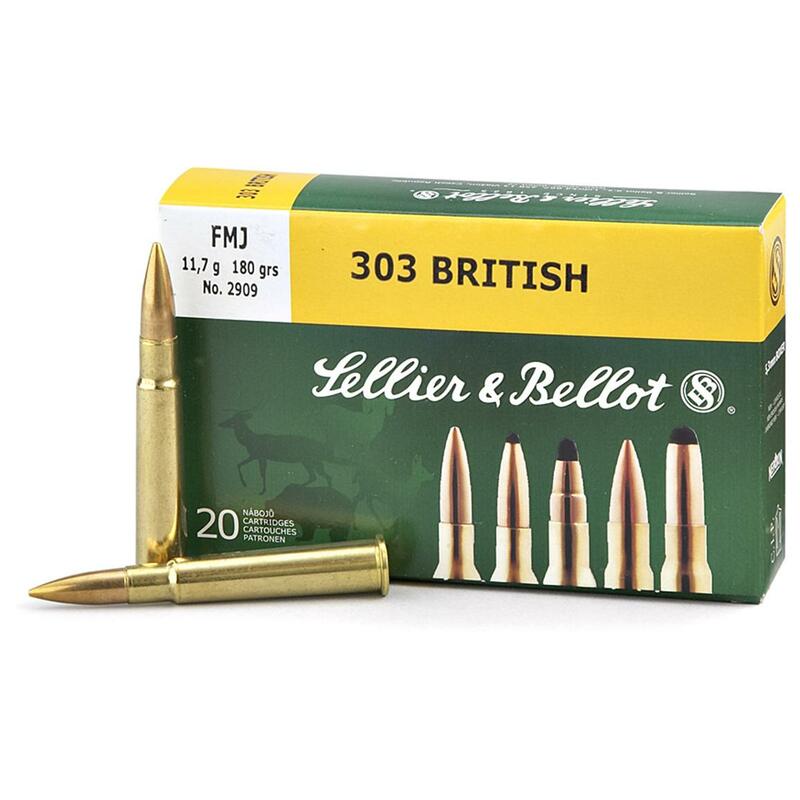 Rated 5 out of 5 by MARK B from Good clean ammo at a reasonable price. I suspect it will perfom well. Rated 5 out of 5 by ROBERT from Good quality at an unbeatable price. Your affordable shot for plinking and target shooting.